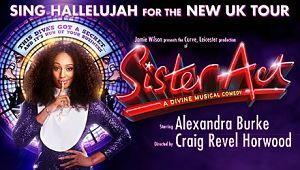 The cast for the tour of Sister Act starring Alexandra Burke has just been announced.Joining Alexandra Burke who is playing the lead role of Deloris van Carter will be be Joanna Francis as ‘Michelle’, Jon Robyns as ‘Eddie’, Karen Mann as ‘Mother Superior’ and Rosemary Ashe as ‘Sister Mary Lazarus’. Alexandra Burke will perform the role of ‘Deloris Van Cartier’ at all evening performances. At the matinee performances, the role of ‘Deloris Van Cartier’ will be played by Joanna Francis. Aaron Lee Lambert will play ‘Curtis’, Sarah Goggin ‘Sister Mary Robert’, Susannah Van Den Berg ‘Sister Mary Patrick’, Allison Harding ‘Sister Mary Theresa’, Ricky Rojas ‘Pablo’, Samuel Morgan-Grahame as ‘Joey’ and Sandy Grigelis as ‘TJ’. 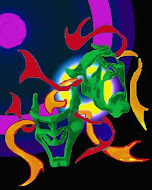 The company also includes Nicola Bryan, Jennifer Douglas, Aiesha Pease, Sally Peerless and Justin Wilman. Joanna Francis has recently finished performing in the West End production of “The Lion King”. Her other credits include “Carmen Jones” at the Royal Festival Hall, “The Harder They Come” at the Barbican and Stratford East and as ‘Sybil’ in “The Big Life” at the Apollo Theatre. Jon Robyns has played many leading roles in the West End including ‘Rod/Princeton’ in the original cast of “Avenue Q” at the Noel Coward Theatre, ‘Marius’ in “Les Miserables” at the Queen’s Theatre, ‘Galahad’ in “Spamalot” at the Harold Pinter and Playhouse Theatres, Alternate ‘Huey’ in “Memphis” at the Shaftesbury Theatre and ‘Hollis’ in “Road Show” at the Menier Chocolate Factory. His other theatre credits include ‘Enjolras’ in the 25th Anniversary tour of “Les Miserables”, ‘Caractacus Potts’ in “Chitty Chitty Bang Bang” at the West Yorkshire Playhouse and most recently ‘Emmett Forrest’ in “Legally Blonde” at Curve, Leicester. Karen Mann’s extensive theatre credits include ‘Golde’ opposite Paul Michael Glaser in the national tour of “Fiddler on the Roof”, the national tour of “I Dreamed A Dream – the Susan Boyle Story” and “Copacabana”, “Martin Guerre” and “Spend, Spend, Spend”, all at the Watermill Theatre. She most recently appeared in “The Witches”, both at Curve, Leicester and on tour. Rosemary Ashe’s many West End credits include creating the roles of ‘Carlotta’ in “The Phantom of the Opera” at Her Majesty’s Theatre, ‘Miss Andrew’ in “Mary Poppins” at the Prince Edward Theatre and ‘Felicia Gabriel’ in “The Witches of Eastwick” at the Theatre Royal Drury Lane, for which she was nominated for the Laurence Olivier Award for Best Supporting Performance in a Musical. Her other theatre credits include “When We Are Married” at the Garrick Theatre, “Widow Corney” in “Oliver!” at the London Palladium and ‘Grandma Mole’ in the musical of “The Secret Diary of Adrian Mole aged 13 and ¾” at Curve, Leicester.